10. Heidi Klum - $21 million The model hosts Lifetime's "Project Runway." 9. 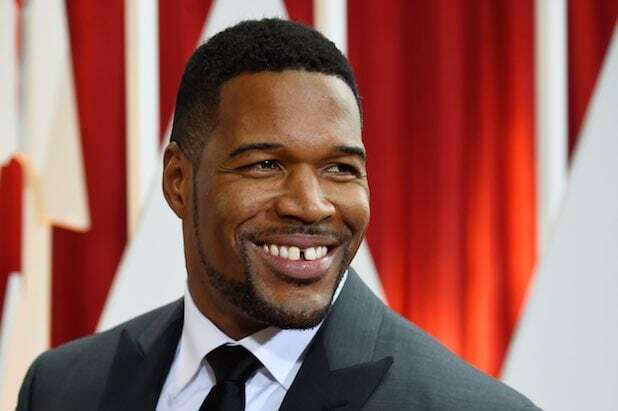 Michael Strahan - $21.5 million The former NFL star jumped from co-hosting "Live" with Kelly Ripa to ABC's "Good Morning America." He also works as an analyst on "Fox NFL Sunday" and as the host of the game show "$100,000 Pyramid," which ABC renewed for its third season. 8. Sean Hannity - $36 million The Fox News host has emerged as the network's top-rated primetime star. 7. Bill O'Reilly - $37 million Even though he was fired by Fox News earlier this year, the veteran host earned plenty from his network gig as well as his series of best-selling books. 6. 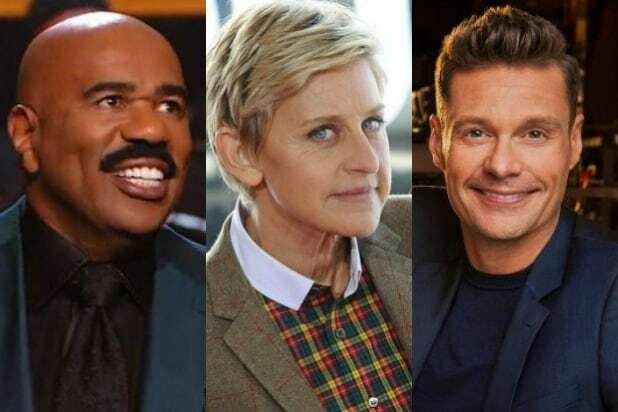 Steve Harvey - $42.5 million The comedian earns big from his daytime talk show as well as his hosting gigs on shows like "Family Feud" and "Funderdome." 5. Simon Cowell, $43.5 million The music mogul reps acts like Fifth Harmony and also still hosts "America's Got Talent" -- as well as "X Factor" in the U.K.
4. Judy Sheindlin - $47 million Judge Judy not only earns from her own longtime syndicated courtroom show but also from producing other legal series like "Hot Bench." 3. Ryan Seacrest - $58 million Even in a year in which "American Idol" was off the air, the hardest-working man in showbiz joined Kelly Ripa on her daytime show, launched a men's fashion line, hosted hit radio shows, produced eight TV show and hosted gigs from the Rio Olympics to New Year's Eve. 2. Ellen DeGeneres - $77 million The comedian not only gets a huge take from her hit daytime show but she also executive produces shows like "Little Big Shots," developed the mobile game Heads Up, and earns money from an endorsement deal with CoverGirl. 1. Phil McGraw - $79 million The top-rated daytime host takes a cut of advertising revenues, and also earns money from product endorsements.